Our mental health, much like our physical health, can be up and down. You can be fine one week, and find yourself in a bottomless pit the next. Whether you’ve largely recovered or you’re gradually on the road to recovery, it’s important to remember that relapses are normal. You won’t always feel as great as you do on your best days and you won’t always feel as bad as you do on the worst days. It can be a rollercoaster ride of emotions, helterskeltering to the bottom or being chucked up in the air in a fit of happiness! 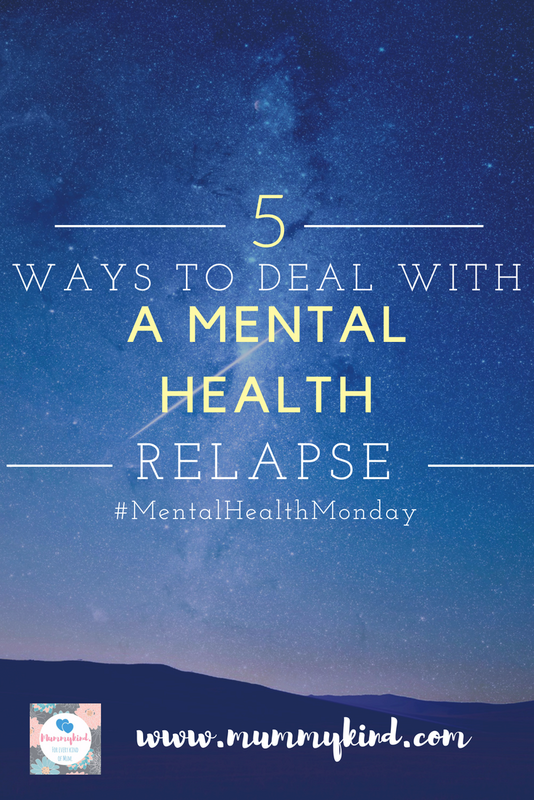 What do you do when you are relapsing? 1. Remember that just like having any kind of physical relapse, this is normal! You will have bad days (probably for a long time) but they’ll get fewer and fewer as time goes on and as your brain repairs itself. 2. Take some time out – self care is even more important when you’re going through a relapse. One of the easiest ways to keep yourself going is to pamper yourself a bit, make sure you look after yourself, force yourself to get out of bed and have a shower, but do take it easy. If you need to rest, then rest. You know what you need, so listen to your body and give it a break! 3. If it lasts longer than a few days, seek help. Sometimes relapses do need some medical attention and you might need support when you’re dealing with them – don’t be afraid to reach out if things get too hard. If you don’t feel like you can talk to the people around you, you are always more than welcome to reach out to one of us for a non-judgemental rant and rave, but we still advise speaking to your GP if you’re struggling! 4. Remind yourself that you are not a bad mother… When depression strikes, you can feel like the whole world is against you and that you’re completely worthless. It can take a long time to realise that those thoughts are the depression talking – you’re a perfectly capable mother, and you should never ever criticise yourself for having a relapse. You wouldn’t criticise someone for suffering with cancer, so why criticise yourself for suffering mentally? 5. Focus on the good days, they’re what will get you through the bad ones. When those bad days do come and plague you, it’s important not to dwell on them for too long or to overanalyse the way you felt when you were at your worst. You’ll have days that are equally on the opposite side of the scale that are amazing, and focusing on those days will help you pull through in the long run! Is there anything else that you do when you suffer with a relapse in your mental health? Let us know! Next Post Review of Petit Fernand labels for school supplies and more!